At sixteen, William is a romantic. He told us about his girlfriend and showed us the ring she had given him. He quizzed Jeff and I on how long we’d been married and whether we were “in love.” In many ways, he was a typical teenager. In so many ways, however, he’s not. 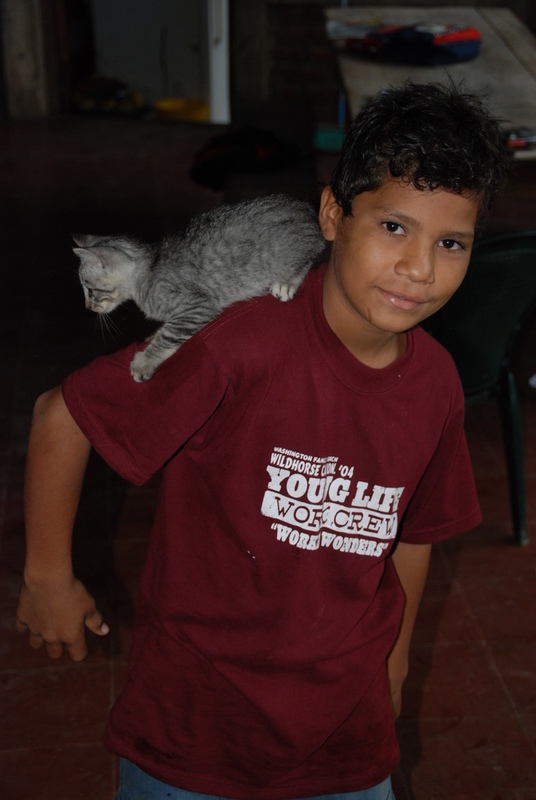 William is one of 15 boys who live at Si a la Vida, a home on Ometepe for boys who were once street kids, abandoned by their parents and addicted to sniffing glue, the drug of choice for those unable to afford anything stronger. 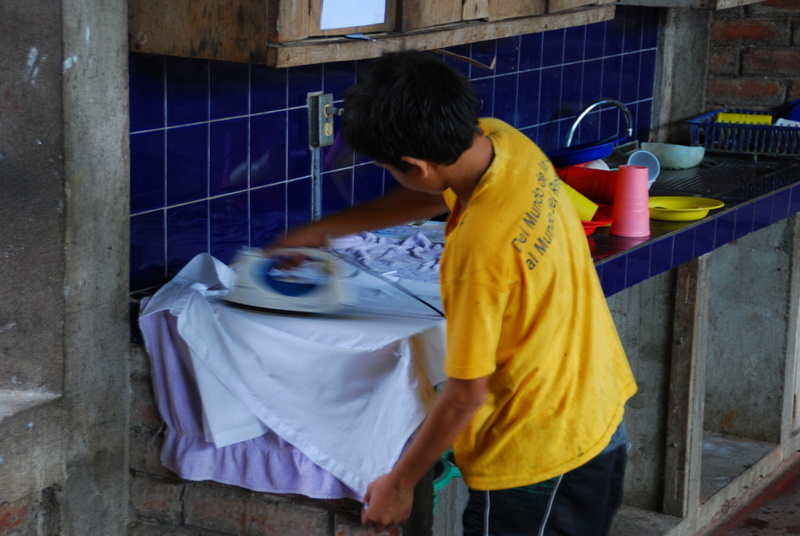 The Si a la Vida boys have seen hard times, harder times than probably any of us can imagine. But spend a little time with them, and it’s almost hard to believe their background because they are sweet and funny and almost uniformly optimistic. They’ve come to the Ometepe location of Si a la Vida on their own free will, after first spending time at the Managua location where they overcame their addictions and gained a support system, often for the first time. 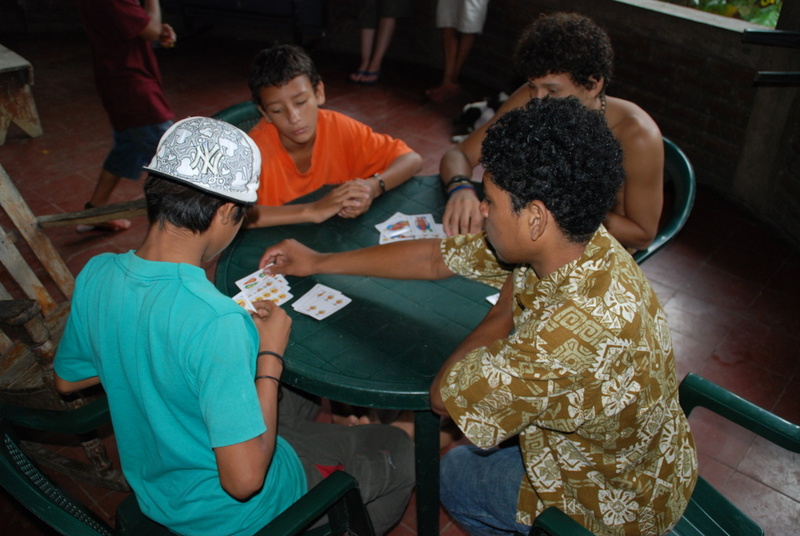 On Ometepe, they live together in a wonderful home, attend school, receive counseling, get regular healthcare, and act like typical adolescent boys. For most of the boys there, this is the only home they have ever known, and they are welcome to stay until they are grown up and able to live on their own. Yesterday Jeff and I spent the morning at Si a la Vida, the objective of our visit being to drop-off a bag of goods we’d transported down here. We’d worked with a group called Charity Begins, which I wrote about in a previous post, to get the donated items, and though carting the bag around on the five million types of public transportation we had to take to get here was a bit of a pain, it was totally worth it. We ended up spending a few hours with the kids, hanging out through a torrential downpour up until the boys had to head to school (they go from noon to 5 p.m. around here). We watched them play games, answered questions, admired the bracelets they make and sell as a source of income, joked with them, and just hung out. Though I often found myself frustrated with my lack of Spanish knowledge (and thus all the more ready for the language class we plan to take next week), I think I was still able to connect. Language differences be damned…adolescent boys are adolescent boys and with three brothers, I’m pretty well versed in that language. I was concerned about the robbing bit until you fully explained. Quite cute. Sounds like a wonderful place. Glad you were able to post pictures. I take teams of college students to Ometepe every winter for service-learning. 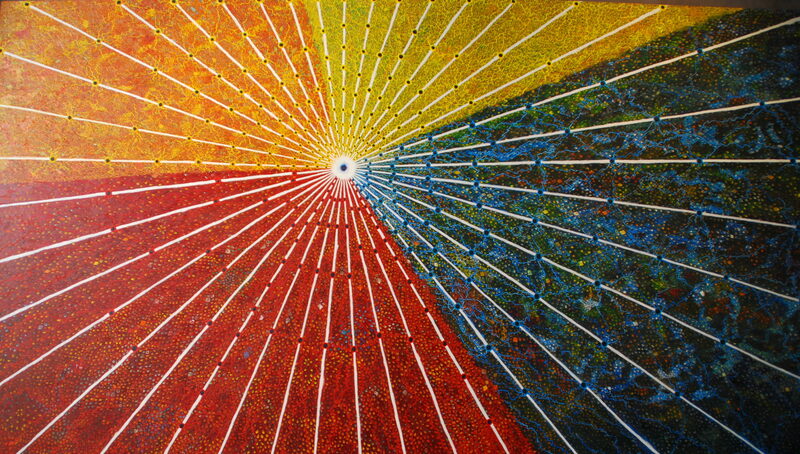 We work and lodge in Los Angeles, not far from Moyogalpa. Can you tell me what part of Ometepe Si a la Vida is on? If they are open to additional help, we mightb be able to do something. We’ve only meet once and I was miserable from morning sickness, so it was at my worst….but I’m SO glad I know about your blog!!! I’m going to LOVE reading about your travels!! @Mark: Si a la Vida is in Altagracia. Definitely a rewarding experience. Like Laura said above, you guys are truly connecting in a short time span. Your travels will only get richer and richer.